Our customers regard Global Supply Line (GSL) as a dependable partner, capable of dealing with complex process valve & piping package requirements. Supplying a wide variety of products, we have a broad range of capabilities to build tailored packages to suit your needs. GSL can specify, source, procure, manage and inspect complex mechanical and instrumentation/automated valve packages. 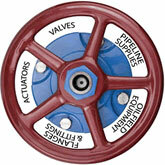 We offer Total Valve & Actuator Management to our customers. We specialise in project supply of manual and actuated valves and controls, we manage projects, turnarounds and hold stock inventory. Valves and valve actuation are complex engineered products and we specialise in engineering the right solutions for our customers. We offer a purchasing & trading house service for end users and EPC’s who require expert technical and commercial knowledge of the valve market place. Our diverse brand range allows us to offer a tailored solution to provide our technical expertise in valves and automation combined with our own in-house engineering, automation, engineering test and paint facility enables us to provide a Total Valve Solution! Our team regularly manages production progressing, expediting and inspection, as well as having the expertise to deal with your documentation requirements and custom formalities. We regularly manage large projects for major clients,we are project supply and materials management experts. We dedicate a Project Manager to work with our clients on a specific project. We work with our clients from the early planning stages to make sure that all materials needed for a project will be available. If certain items cannot be obtained, we will recommend alternatives. GSL provide a combined solution by utilising our own massive inventory and creating special stock lines for the client. We may recommend the client holds certain critical lines in their own premises. The balance we fast track source from our global and local network of manufacturers and suppliers. We then plan all logistics. Not only do we ensure that all items are delivered on time, we also plan the delivery schedule ensuring that items are delivered just in time and only when and where they are needed. This saves our customers from having to hold and manage their own inventory. Lastly, after a project is completed GSL offers post-project services such as closing out consignment and dedicated inventory. Together with the client we will perform a post-project analysis to look at how future projects can be better managed. Comprising in-house technical know-how and broad product knowledge, further supported by the extensive experience and resources of the GSL team and the manufacturers we exclusively represent. This enables us to offer a fully comprehensive service at all project stages. With our full in-house engineering facility, valve test shop, valve automation facilities and even PMI test equipment. We have the ability to service all your needs in a timely manner. We are expert in dealing with complex issues, including consolidation of materials from multiple sources and ensuring that goods arrive on time, and in good condition at your chosen destination. Experience has taught us that stock is an essential part of any project philosophy. Consequently, we have invested heavily in a large inventory to ensure we can provide security of supplies at short notice. In addition, we have built partnerships with distributors and short lead time factories across the world to enhance our service capability. Expertise in project finance, performance guarantees, transactions in foreign currencies and other financial services all generate innovative solutions for our customers. Importantly we can demonstrate a very large on hand cash liquidity position to provide peace of mind delays won’t be caused due to lack of funds. Global Supply Line has $20 million liability insurance as well as $30 million worldwide product liability insurance cover (USA & Canada excluded). (Most other merchants do not have product liability insurance). We specialise in the supply of valves & piping products to a wide variety of market sectors and geographical regions, placing significant emphasis on reliability, dependability and product expertise. We only procure from companies with audited ISO 9001 quality systems and a demonstrable capability to meet both out technical and quality specifications. All manufacturers we represent hold relevant certifications such as API6A, API6D, API6DSS, APIQ1, API600, CE, PED etc. We only use trusted manufacturers with a proven track record. Where required, we arrange third party auditors to review and monitor manufacturers throughout production to ensure that the quality of their products matches required standards. Our sales engineers work with our clients to provide the assistance needed to meet all possible requirements, proposing the solutions and materials that most suit the quality and technical demands of our customer. The sourcing & procurement activity covers all phases of enterprise-wide procurement activities. Global Supply Line will search its worldwide manufacturer and stockist network, to find the best possible suppliers thus offering our customers tailored solutions. GSL only work with proven, pre-qualified, reputable, high quality manufacturers. To optimise operations in our despatch warehouse, our team of experienced and dedicated staff source and hold stocks of valves and actuators as well as flanges, fittings etc. We assist the customer in all technical and commercial facets of procurement and will suggest changes that will improve lead time and reduce costs. Quality means providing exactly what our customers require in terms of product, deliver and price. Project management and inspection reports form an essential part of ensuring our quality objectives are adhered to.Strict quality control ensures delivery of a quality product. Quality customer liaison is an ongoing process with stage reporting from design through to packing for delivery to the customer. Service to our clients is further enhanced by our supply chain and risk management capabilities. Global Supply Line works in close co-operation with the client and ensures that each order is accurately defined and planned from the early stages and that the plan is continually tracked during all design, production, assembly and testing stage. Global Supply Line’s expediting service ensures the delivery of purchased goods to a pre-determined and promised delivery schedule or critical path network. It is the task of the expeditor to detect and analyse the areas which might cause delays. Customer service is a series of activities designed to enhance the level of customer satisfaction, ensuring that a product or service has met customer expectations. We have at your disposal professional staff who are highly skilled in interpreting your needs. We also have a highly experienced team on hand to support your staff post project, as we are also a major stockist. Even if we don’t already stock the item you need, we will even agree to hold post project emergency stock where required. Our domestic and export packaging is suitable for transit by sea, road or air. At Global Supply Line we take care when packaging our products. Global Supply Line are highly specialised valve professionals. We place at your disposal our own valve experts each with a lifetime of experience in key positions. You will benefit from our long standing relationships with the leading valve manufacturers we represent. 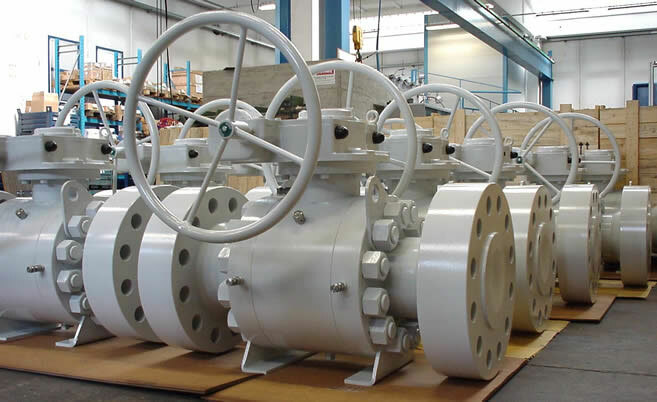 Valve sourcing for complete projects often involves a combination of a large number of valve types and manufacturers. The compilation of these valve packages is a daunting task requiring a high level of expertise and connections. Global Supply Line with its expert knowledge of the global valve industry, will assist you with your complex valve sourcing. To source 70% of a valve package is in most cases quite straight forward. However, considerable expertise is required to source and supply more critical valves. By leaving your complex valve sourcing tasks to Global Supply Line, you will save valuable time assured that the Global Supply Line solution will exceed your expectations both with respect to cost and quality. We can ensure pricing, delivery and quality concerns are covered by sourcing commodity valves from more competitive high volume manufacturers and higher class and speciality valves and actuators from premium manufacturers. We also speed up delivery times and reduce costs by utilising our own stock holding where possible. Global Supply Line also add value and further improve delivery times by utilising our own valve automation and engineering facility. Only Global Supply Line offers complete in house engineering, a large range of valve spares in stock and a comprehensive inventory of valves & pipeline components.